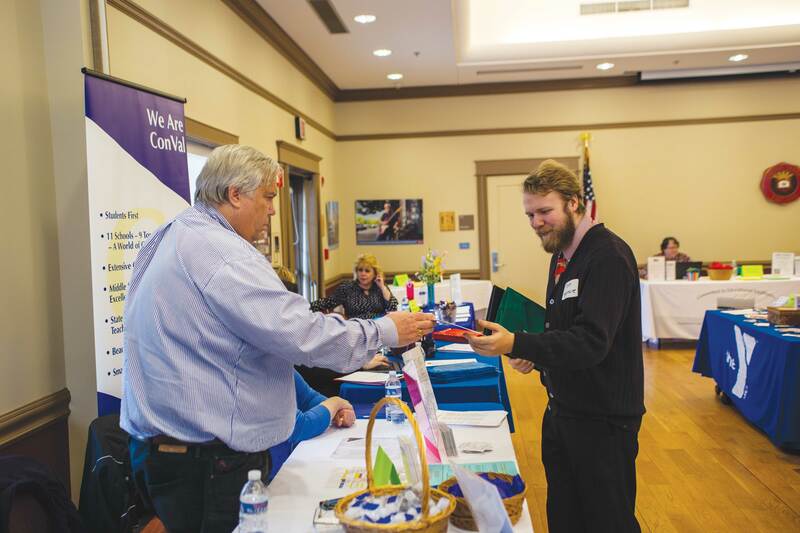 On March 28, 2019, a Career Clinic was held in Rhodes Hall. The career clinics are held about four times a semester. Students mainly use the clinics for resume and cover letter, said by Louise Ewing. But they are open to helping students with all types of issues relating to career advising. Students looking for any tips on Resumes and cover letters are welcome at the career clinics. Academic and Career advising had plenty of helpful handouts to aid with your resume and cover letter, no matter what the point of progress is. Sheryl Zinn, an alumni volunteer, said that these handouts can help show students the different ways that Academic and Career advising can help them. This specific clinic was held because next week on April 2 there is going to be an education career fair. This current career clinic was mainly there so that student teachers can get help if they need it. Sometimes it is harder for them to find time in their days to get the help they need. Only eight students showed up for the clinic which was less than the office of academic and career advising was hoping for. Sheryl Zinn said that they had hoped that more student teachers would have come to this event to recieve help. First year Sean Smith came to the career clinic to get some help making a professional looking resume. Smith said he feels a lot better about his progress and would definitely recommend coming to the clinic to other students who need help with a resume. “It was fun, it was easy,” he said.